This is a 2.5 hour, recorded class. You'll receive the class presentation, handout and live webinar. Brand new waxes have hit the market and you'll be among the first to learn how to create incredible candles with them. 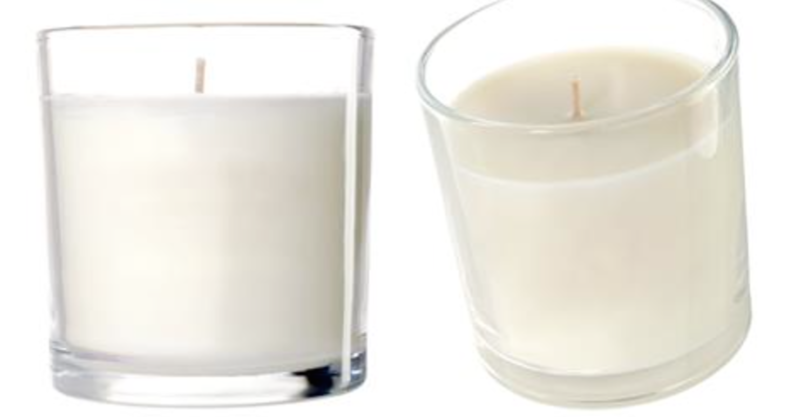 These natural-wax candles with essential oils are a wonderful addition to any indie beauty line or as a launch product. As you know, they add warmth, fragrance and charm to any environment. In this workshop you will learn how to create candles in various sizes and containers. Join green beauty cosmetic formulator, Marla Bosworth, and learn what it takes to create your own vegetable wax candles and massage/lotion candles (which are a great spa treatment). Much thought and consideration should go into developing a line of candles. Marla has been manufacturing and selling candles for 20 years. She will share with you her knowledge of that extends beyond just "here's how to make a candle." Students will learn how to choose from all the available waxes on the market along with testing for the wick that works with your wax and container size. After this workshop you'll know how to make candles that burn safely. You'll also have all the information you need to starting making your own products to sell. This class is perfect for newbies, spa owners, estheticians, green beauty entrepreneurs, massage therapist and for those who are currently making candles, but unsure if they are making them properly or need to troubleshoot wicks, candle burn, etc. Students will learn how work with different vegetable-based waxes. We will discuss variations of waxes, including coconut, apricot and soy. They are all-natural and easy to use once you understand its preferred temperatures, wick recommendations and other tips that Marla will provide in the workshop. She will also lend her expertise in blending essential oils that provide a beautiful "throw" and aroma. You'll receive an information-packed class handout with detailed instructions, formulas, formulating guidelines and a valuable supplier list that is worth the class alone. How to test for safety, proper burn and "throw"
If you have an existing beauty business, or are launching one, you'll love how these candles easily cross-sell with the rest of your line. You will also appreciate their markup value. Course Fee: On sale for $36. Class fee includes online workshop, handouts, including formulas, tips, instructions and a list of Marla's favorite suppliers. Can't make this class but want to stay in the loop with us? Sign up for our newsletter by scrolling down to the bottom of any page on our website, entering your email address, confirming with the email we sendyou, and voila we'll email you (once a month) to let you know the latest happenings for new classes and more! Enroll now by clicking on "Add to Cart."